19 year old Karisa stands 5'3" tall and speaks English, Indonesian and Mandarin. She hopes to become a television presenter someday and says her proudest moment was becoming vice president of her student council during high school. Sukamto likes to dance, travel and trying out different restaurants. She likes to listen to dance, RnB and pop music. The quote and motivates her in life is "Don't judge a man until you've walked two moons in his moccasins." 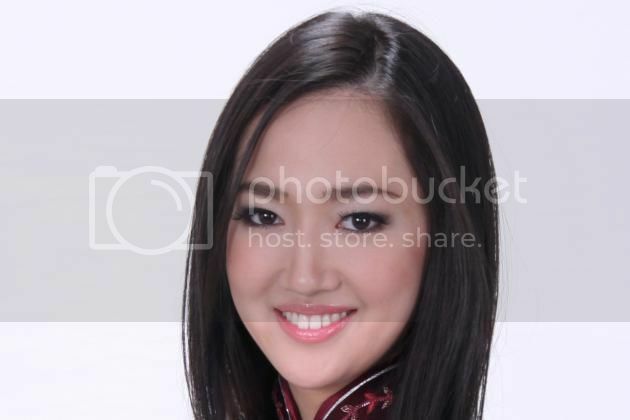 Karisa representing Singapore will compete against other 119 hopfuls vying the crown of Miss World 2012 which celebrates the grand finale on August 18 in Ordos, Inner Mongolia at the People's Republic of China. It is one of the most celebrated and the oldest surviving beauty contests in the world since 1951. If ever she wins the crown, she will stay in London entire her reign and will travel to represent the Miss World Organization and its various causes. Will the talent, beauty and intelligence of Miss Singapore will stand out and take home the coveted crown?